The University of Michigan Health Management Research Center (HMRC) closed its doors December 31, 2016 leaving the wellness industry with some uncertainty about the future of the most scientifically validated health risk assessment in the field. 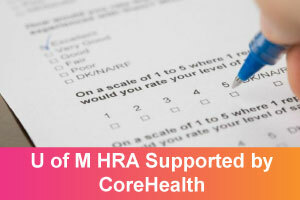 In response to this anticipated closure, HMRC and CoreHealth Technologies, a leading corporate wellness solutions company and University partner, reached an agreement for CoreHealth to continue offering the health risk assessment on its technology. 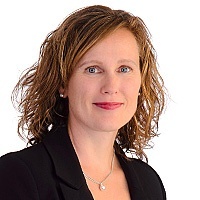 In October, a CoreHealth press release announced how CoreHealth would build the health risk assessment into their Partner Network. The build process was completed in February 2017 and is readily available to users of their platform. “CoreHealth has done a great job embedding the University’s HRA into its wellness technology. I think organizations will find the new user experience better with more flexibility to tailor and translate. This HRA has now undergone a well-deserved refresh and better matches the slick and stylish designs CoreHealth provides with their wellness portals,” says Dee Edington, the Founder of both Edington Associates and the University of Michigan Health Management Research Center and a ‘pioneer’ in the workplace wellness industry. Easy to produce aggregate reports - instantly. READY FOR THE NEW AND IMPROVED UOFM HRA?